3216 W. 76 Country Blvd. 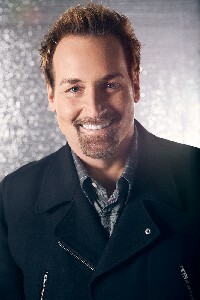 Michael English Christian Recording Artist, Grammy Award winner, and 13 time Dove Award Winner will perform live in concert on November 14th, 2015 @ 2pm at the Clay Cooper Theatre, Branson, MO. As with every creative venture Michael has pursued, including his time as lead vocalist for the Gaither Vocal Band, his record only confirms what the audience and the industry have known since he first broke into the music scene in the late 80’s, his voice, delivery, artistry are second to none. Make your reservations now. Branson, MO — On October 16 and 17, 2015, approximately 6,500 car collectors and enthusiasts will be gathering again for the Fall series of the 37th Annual Branson Auction at the Branson Convention Center. More than 250 cars of all vintages, makes and models are already drawing the attention of collectors and spectators in six surrounding states via Branson Auction’s social networks, many of whom publicly attribute the event’s quality and continuous success to its founders Jim and Kathy Cox. The 2014 recipient of the prestigious Lee Iacocca Award for his “dedication to excellence in perpetuating an American automotive tradition” at Keeneland Concours d’Elegance, Jim Cox is world-renowned for his acute knowledge and expertise in the manufacturing, mechanics, performance, restoration, and valuation of autos dating back to their origin, including everything from American- and European-made to elite imports and celebrity rides. In fact, owners have proclaimed Cox’s ability to circle the wagons, so to speak, to get a car in shape for prime time at showcases when there was no other hope. A well-respected spokesperson and authority on the most complex engine mechanics, Cox sponsors the Keeneland Concours d’Elegance in Lexington, Kentucky, and is a frequent presenter at various collector showcases, races and media productions on topics like “Inside the Engine of a Rolls Royce” and “Interview with a Hudson”. Cox sponsors and presents the annual Gatsby Award for his Alma Mater Kansas City Art Institute’s “Art of the Car” scholarship, for which he was also a previous recipient of the Alumni Award. With annual sales of $6.5 million to $7.5 million, The Branson Auction historically attracts 6,500-7,000 collectors, consignors, bidders and car enthusiasts to Southwest Missouri twice a year for auto auctions that are praised in many collector car circles coast-to-coast. More than 250 must-have sports, muscle, vintage, classic, custom and antique automobiles make their appearance and are bid on by enthusiasts, collectors, and gearheads from around the world. The 37th Bi-Annual Branson Auction will be held at the Branson Convention Center in downtown Branson, MO, and consignments are now being accepted. Beginning at 12:00 noon on Friday October 16th and 9:30 a.m. on Saturday, October 17th, the event is open to the public at a price of $10 or $15 for a 2-day pass. Tickets are on sale at the venue at 10:00 am on Friday and 8:00 am on Saturday. The consignment list is available for preview at www.BransonAuction.com and is updated regularly between now and the October event along with historical auction results. Car owners can consign up to the day of the sale or in advance by calling 800-335-3063, or by visiting www.BransonAuction.com and clicking the “Consign” tab. Friday consignors pay a $500 entry fee and zero commission with high bids paying 100% to the seller. Saturday consignors pay a $300-$500 entry fee and 8% commission with reserve or 6% with no reserve. All bidders pay a registration fee of $100 which is refunded with the purchase of a vehicle. This event is sponsored by Summer Winds Resort, Passport Transport, JJ Best Banc, Branson Airport, and the Hilton Downtown Branson, and hosted by Jim and Kathy Cox of Branson Collector Car Auction in Branson, MO. Jim and Kathy Cox own and operate one of the most long-standing and well-respected collector car auction houses in the country. For thirty-seven years they have been supplying collectors with some of the best collector cars in the world. This tradition continues twice a year, every April and October. In addition to the collector car auction they also offer their clients the opportunity to consign or purchase before and after the auctions. If you are looking to buy or sell any car, they will be happy to assist in any way possible. The vast amount of experience and knowledge is unprecedented. Jim is not just the owner of an auction house, he is also a top car enthusiast, vintage racer, and collector car dealer. The announcement that a new attraction would be built at the junction of Fall Creek Road and Highway 76 a few weeks ago was devoid of any specific details about what it would be except to indicate that all would be revealed at a press conference on Oct. 6. Since then, speculation within the Branson community has run rampant, but at a press conference on the morning of Oct. 6, one of the best-maintained secrets in Branson history was revealed. “Fritz’s Adventure is a dynamic indoor family attraction that brings the excitement and challenges of outdoor adventure into a multi-dimensional indoor environment. It’s three stories high and has 80,000 square feet of hands-on climbing, tunneling, sliding, swinging, and zip-lining thrills, featuring daunting utility poles to climb, bridges suspended stories above, towering rock climbing walls and giant boulders, an impressive parkour area, a massive ropes course, urban brick buildings for scaling, a life-size water tower with multiple slides, tunnels and tubes to burrow in, and an air-worthy airplane to explore. Fritz’s Adventure delivers the sense of adventure with a perceived element of risk, while in a strategically engineered and safe environment. It is a place where you can experience elements of the world around you, that anywhere else would be prohibited or discouraged. Parents, teenagers, grandparents, toddlers, and kids alike are encouraged to explore and adventure together. It is anticipated that the new non-weather-dependent attraction will open in the summer of 2016 and will be open 365 days a year. “What an exciting and unique attraction for Branson visitors to enjoy,” said Annette Wood, the Director of Sales and Marketing for the Branson Tourism Center. “It is yet another wonderful adventure that families can share together in Branson,” she added. The Branson Public Works Department is working with Journagan Construction to perform maintenance on city streets throughout the month of October, 2015. The work will begin Monday, October 5th and end Friday, October 10th, depending on the weather. Work crews will mill and overlay various city streets in Branson. Crews will begin milling at Green Mountain Drive between Highway 165 and Keeter Street on Monday and repave Wednesday and Thursday. Crews will then move to Glory Road for milling and paving on Thursday and Friday. Construction will be between the hours of 7:00 a.m. and 7:00 p.m. each day. Motorist are encouraged to use alternate routes or expect delays if traveling through the work zones. The Branson Public Works Department will be conducting its annual Spring Cleanup beginning Monday, November 2nd through Thursday, November 5th, to help residents properly dispose of large unwanted items at no cost. This is a semi-annual event which is part of an ongoing effort to keep Branson beautiful. The cleanup service is available for individual residents of Branson, but not for businesses or commercial entities. This provides residents within the City Limits the opportunity to get rid of large unwanted and difficult to manage items like old appliances, furniture and mattresses which are not typically picked up by residential trash haulers. The pick-up date for Ward 1 is on Monday, November 2nd, Ward II is on Tuesday, November 3rd, and Ward III is on Wednesday, November 4th. Brush and limbs will be picked up in all three wards on Thursday, November 5th. If a resident is unsure of their ward residence, they should refer to where they voted in the most recent election. If persons voted at the Community Center on Compton Drive, they are in Ward I. If they voted at the Presbyterian Church in Downtown, they are in Ward II; and if they voted at the Methodist Church on Highway 76, they are in Ward III. A map of the city’s three wards is available online at www.bransonmo.gov. All items, including brush must be at the curb by 8 a.m. on the day of pick-up. Crews will not backtrack. Items not placed out for pickup by the deadline will NOT be picked up and will not be eligible for participation in this city service. Property owners who miss the deadline must make separate arrangements on their own to have the materials picked up. Limbs and brush do not need to be bundled, but must be cut and stacked at the curb in manageable 4-6′ piles. No more than one dump truck load of limbs and brush will be hauled from any one residence. HOUSEHOLD CHEMICALS: Accepted year round at Branson Recycle Center, located at 601 Compton Drive, in Branson. The center is open Monday thru Saturday from 7:00 a.m. to 2:00 p.m.
ELECTRONICS: The Best Buy store in Branson Hills recycles household electronics. See “recycling” at www.bestbuy.com for details. The Staples store on Highway 248 in Branson will also accept household electronics of all kinds. Also, Computer Recycling of Springfield accepts TVs and computers for a small fee. Call 417-866-2588. Call or check web sites for hours and what items they will accept. BAGGED LEAVES: The nearest options to dispose of green waste are the Hansen’s Tree Service facilities in Reeds Spring and Ozark. Call Hansen’s at 272-8733 for information. Sunny Hills Garden Center in Kirbyville also accepts bagged leaves and other yard waste, year round. Call 417-339-4437 for information. For the pick-up of exceptionally heavy items such as sofas or large appliances, residents are asked to call 243-2725 at least 24 hours before their scheduled pick-up day. A separate truck will haul away these items.